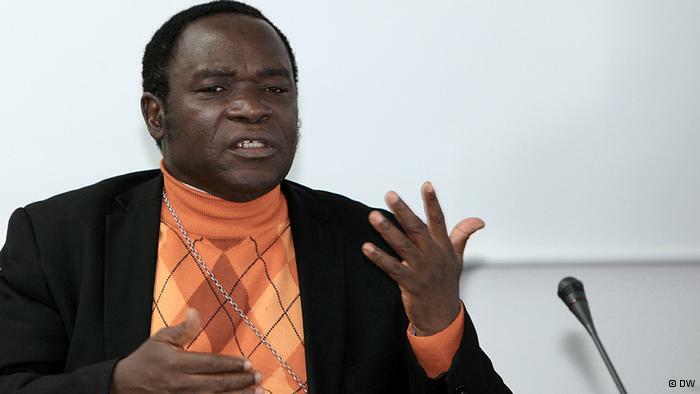 Bishop of Catholic Diocese of Sokoto, Bishop Mathew Kukah, on Thursday asserted that the removal of President Muhammadu Buhari from office was not the solution to problems plaguing Nigeria’s democracy. The clergyman said establishing a ‘Third Force’ coalition to merely produce a replacement to Buhari in 2019 would not fix the deficiencies of government. Kukah said: “Since 1999, when we returned to democracy, we had prayerfully hoped that by now we would have covered a lot of mileage but almost 20 years later it seems to be quite a bit of tragedy. “Building a nation is like staying in marriage or pursuing any vocation in life that requires lots and lots of patience and hard work. “On the issue of 2019 and the third force coalition, I reiterate that if every time you have problem in your marriage you go ahead to marry a new wife, how many wives will you end up marrying? “The solution to bad marriage is not a new marriage. I am talking as a Catholic priest. The problem with the APC is that it is a coalition and that is why it is falling apart. “The major limitation in Nigeria is that the people in power feel it is them against the rest of Nigerians. Democracy has opened up a space, and as such anybody who holds power holds that power in custody and in thrust for the people. “People’s right across our country are frustrated with democracy; they are frustrated because it has not been able to offer them the hope they had dreamt about. But we still have to convince our people that it is still probable for democracy to work. Nations of the world have tried theocracy, which is the government by Priests or Imams and have found those systems wanting. They have tried tyranny, apartheid and so on. At the end, everybody has agreed that democracy is the best system that approximates the tool we require to manage diversity, especially for a country like Nigeria.